Ford, a leading automotive manufacturer, has kick-started the year on a high as it celebrated two major milestones in the much-contested pickup truck and commercial vehicles segments. Building trucks that are designed to define the way the market thinks about pickups is simply part of the F Series legacy and the 100+ years of Ford heritage. The F 150 is already one of the most revolutionary pickup trucks on the road, and the latest F 150 builds on the game-changing features that currently cement this truck's reputation for quality, durability and strength, it said. In the Middle East and Africa (MEA), F-150 and Super Duty trucks enjoyed another stellar year with sales jumping more than 13 per cent over last year, proving its best-in-class payload and towing, matched with class-exclusive features and a tougher, smarter and even more capable vehicle, prove irresistible to the region’s truck buyers. Unmatched in the industry, Ford has become America’s best-selling commercial van brand for the 40th consecutive year. Such a record speaks to the overwhelming popularity of Ford vans among the commercial buyers and fleets that keep businesses working, and cater to families who need a lot of seating and adventurers who prefer homes that have wheels. From 1979 through 2018, Ford sold more than 7.1 million vans with powerhouse names like Econoline, E-series, Transit, and Transit Connect. 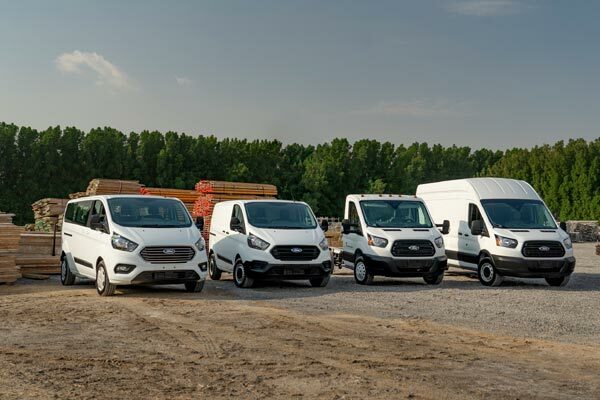 Led by Ford Transit, America’s best-selling full-size commercial van, and Ford Transit Connect, the best-selling small cargo van, Ford sold more commercial vans than any other brand last year. In the Middle East, Ford’s commercial vehicle range has also expanded to include three new versions of the Tourneo; the Kombi (a favourite for employee transportation), mid-series (for hotel/airport shuttle and travel operator use) and Premium (for business executive and luxury transportation use). It’s no surprise, then, that more and more businesses have opted for the transit products in the Middle East, driving exceptional regional sales for Ford Transit in 2018, with a four-fold increase, having charted an incredible 240 per cent boost in regional sales for 2017. Globally, Transit has enjoyed continued success with more and more businesses relying on Ford Transit to get the job done for over 50 years.